Liquid to Solid...Buttering It Up! This week, we combined the our FOSS science unit...Solids and Liquids into a fun Farm to School connection! Our 2nd graders learned how to make butter! I first ask the kiddos how milk gets to the store. Then, we show the vimeo video The Milk Maker from the Reading Rainbow found at http://vimeo.com/6240198. 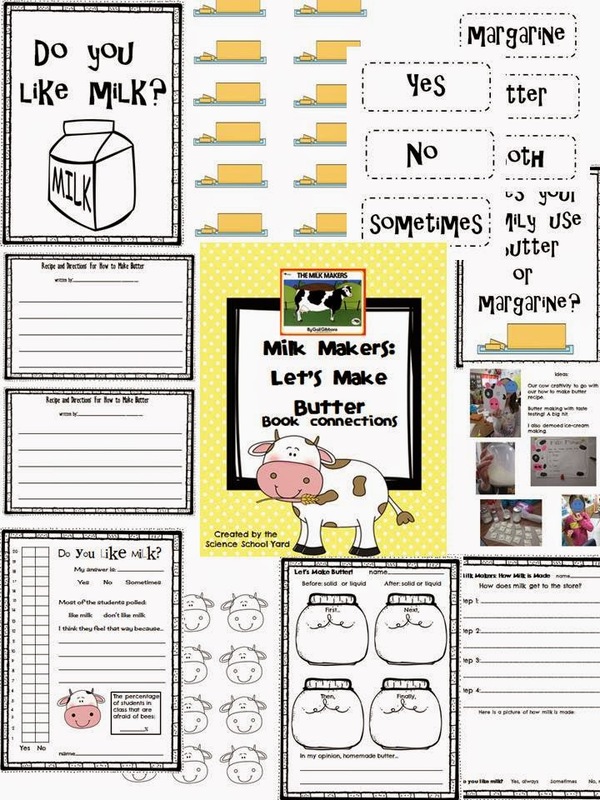 After we watch up to 20 minutes and the cow says "Moo", we stop to work on our sheet that I made.. in my Milk Makers: Let's Make Butter Pack. This is the poster I made to do a writing project with...How to make butter! Our Cow Craftity...to add to our recipe writing project! 7-10 minutes is all it takes! Here is all you need to make a liquid into a solid. An udderly fun activity!